This is the builder's Jen II 2017 model and is situated on a cul-de-sac. It has an eat in kitchen and breakfast bar, open to the family room. It includes a SS appliance package and boasts a split bedroom plan with stunning choices for color and flooring.Photos may be from a different location and may contain slight differences or upgrades. Tile in the wet areas and carpet throughout the rest of the house is standard for this model. 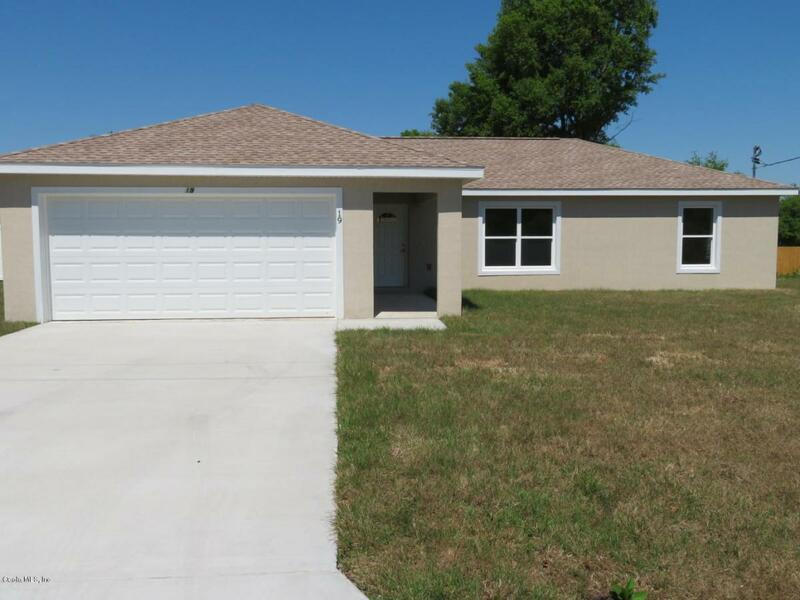 Close to shopping, golf, restaurants and medical facilities. A perfect starter home or retirement oasis.Builder provides a standard 2/10 home warranty and has several models to choose from throughout Marion County. Call for availability.